I have mentioned the quality of the mews of Hove in the past. One of my favourites is Wilbury Grove which I have investigated many times before. 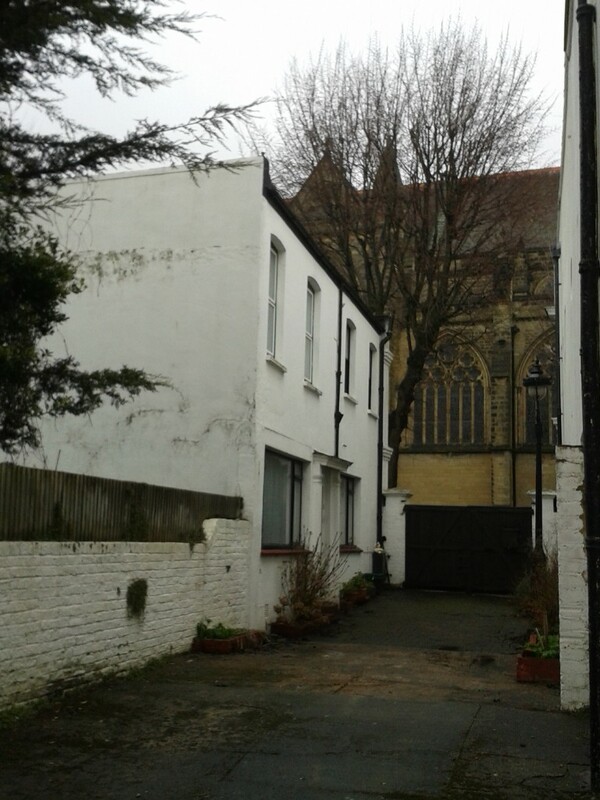 It was only recently though that I discovered a hidden mini-mews, running parallel with Wilbury Grove, that serves just one house – which is currently for sale with Graves Jenkins. The residence in question is situated on Eaton Road, to the west of Wilbury Grove, and appears to have been built within the curtilage of one of the grand mansions of The Drive. A pair of tall uninviting gates hide a 75ft-long private service road which extends across the hidden façade of the property, and that same distance again. It may well be that the service road once served other buildings but this is difficult to ascertain as where it once might have ran is now dominated by the monstrous modern blocks of Grove Court and Bowen Court. Past these is the Courtlands Hotel, behind which there are old stables whose positions suggest that the mews did once serve a number of properties on The Drive. ‘The Coach House’ is an appropriate name for this unique detached dwelling given its previous connection with horses. This change of use is significant as it means that there is little in the way of original details inside. The best feature of the building is perhaps the gorgeous yellow brick from which it has been constructed; much of which has sadly been painted white. A golden rule of property is that brick should never be painted. Painting causes damps, looks awful and creates a maintenance headache. The paint should be removed to expose the lovely brick immediately. The incredibly tired interior essentially consists of two large living spaces downstairs and four bedrooms upstairs. It could, and should, be entirely reconfigured. The staircase should be repositioned to create more useable space on both floors. A bedroom should be lost and an en-suite added. I would flood the downstairs with light by replacing the entirety of the hidden façade with glass where wide stable doors would once have been located. 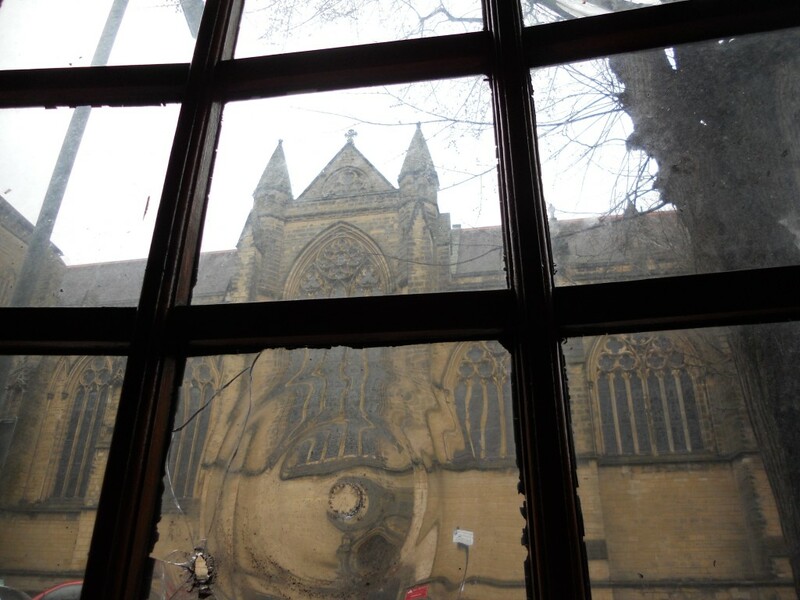 I would increase privacy by carefully bricking-up the ground floor tavern-style window which opens directly onto the pavement but add windows upstairs to make proper use of views towards Grade I listed All Saints Church which is directly opposite. I’ve got it all planned out. I now just need £475,000.